Attractive dark green foliage which are velvety smooth on the underside. 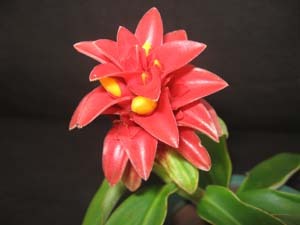 The bright red inflorescence resembles a torch and yellow flowers emerge from the sides. The red bracts last a long time.